K9 Magazine contributor and columnist Mike Deathe is a well respected animal trainer and behaviourist. 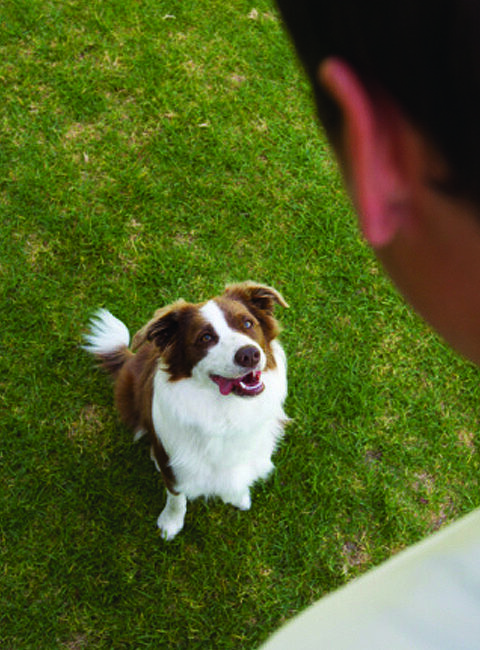 He recently attended a seminar conducted by Dr. Ian Dunbar and has since redefined his entire approach to dog training. This feature is the final installment of it's three parts and details just how influential that seminar was on Mike Deathe. As you will see from part 2, Mike gained valuable insight. Over time, the act of sitting on command becomes the reward itself because of the associations of the treat we have used in the past, as well as the “thank you”, other praise and pets." So how does this affect his thinking now? The key to this learning is to make sure not to pigeon hole yourself into one style, thought or aspect of learning theory. It’s best to incorporate them all into a simple and easy to understand idea that everyone can understand. 1-2-3-4 anyone. The goal of any training: people, dogs, goats or monkeys; is to get the behaviour you want, when you ask for it, without a lure or a reward. For those parents with kids getting an allowance, I am sure none of you expect to be paying out when they are 40 do you? So while I sat and listened (at least most of the time, when I wasn’t frantically scribbling notes), I figured out how to make learning theory fit inside in my own head. But once I got home and re-read my notes, I realised there was an even easier way to explain Dr. Dunbar’s 1-2-3-4 method and to convince/explain to people that by fading out steps 2 and 4 (lure and reward) we could once again revolutionize dog training.